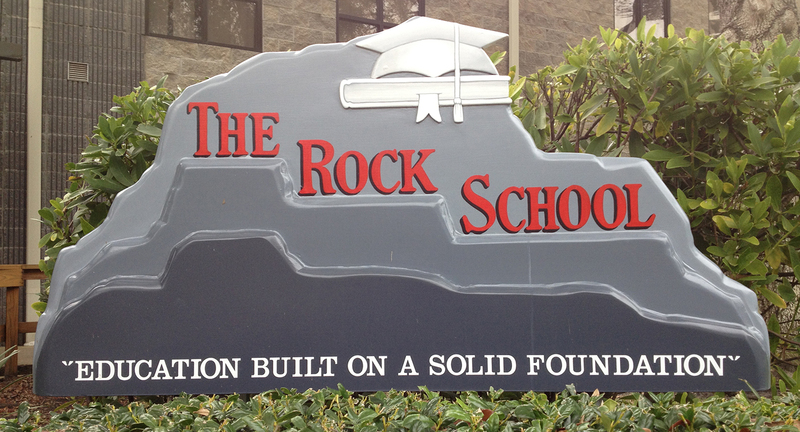 The Rock School is a co-educational Christian day school for grades K-12 and was founded in 1993 by Pastors George and Suzanne Brantley and The Rock of Gainesville church body. 1993 – school opened using classrooms in the church building. 1994 – new school building constructed and ready for year two. 1997 – first graduating class. 2000 – AP courses introduced. 2001 – soccer and athletic fields added. 2004 – international student program launched. 2011 – iPad 1:1 initiative introduced. 2013 – celebrated 20-year anniversary. 2013 – founding principal Bob Carter retired. 2013 – dual credit partnership with Southeastern University began. 2014 – construction of new preschool building completed. 2015 – Developed Partnership with Doulos Discovery School, Dominican Republic.